Let’s face it, graphic design is short of real drama. 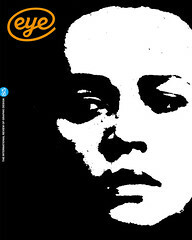 There are no good design roles in films (Robert De Niro’s girlfriend in Heat? Really?). The high point of most design biographies is a studio relocation or a sculpture commission. 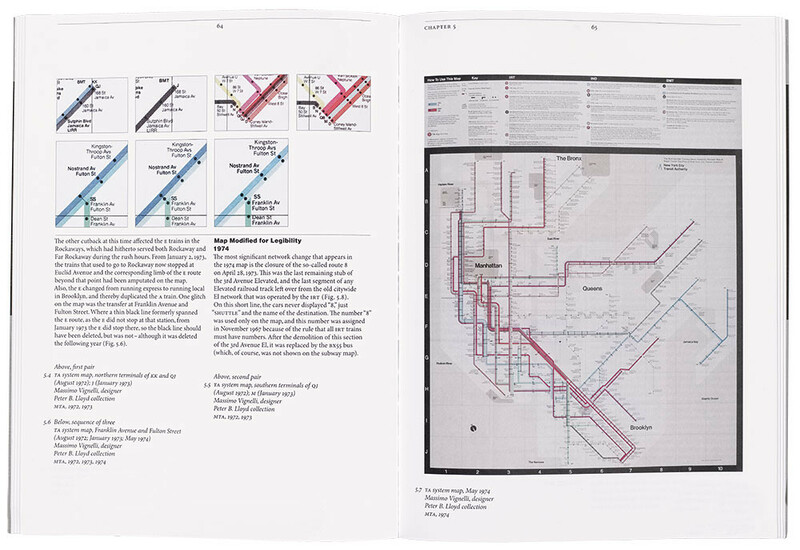 But Vignelli Transit Maps by Peter B. Lloyd and Mark Ovenden is infused with jeopardy. 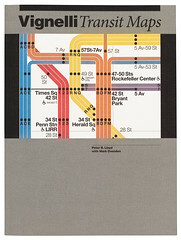 It shows a New York City project of the 1970s – Massimo Vignelli’s map of the New York City subway – buffeted by forces that, after less than a decade, had the map replaced. There were transport authorities to deal with, as well as a battle between those pitching an abstract diagrammatic approach and those requiring above-ground cartographic landmarks. However, Lloyd and Ovenden avoid any discussion of the tensions in Modernist claims of utility. The map is undoubtedly simplified and stripped of decoration, but looking at some of the design decisions I question whether the brief was straight utility. Or did the primal Modernist urge to speak to a stylistic posterity compromise such features as station visibility (black on blue), typeface and size? That is why this map and book are important. There are better map books, but few maps become cultural landmarks themselves. Good metro maps embody the spirit of their cities. The London underground map is British pragmatism at its best; Vignelli’s map is a portrait of New York in its imperfect 1970s prime.